Although Fenian raids did not always materialize as threatened, the biggest problem for Canadian officials was that the massing of men and arms along the 49th parallel kept the military planners north of the border in a constant state of anxiety and readiness. They had to be prepared for attacks and often baseless rumours kept the public and politicians on edge as well. As a result, the diplomatic and propaganda effect of these raids was out of all proportion to their military significance. The positive and probably unintended result of the Fenians Raids of 1866 was that the fear of Irish-American attacks on Canada encouraged New Brunswick to join Confederation in 1867 and strengthened Canadian patriotism and political support for the new country. Canadian voters saw a strong central government as an asset in defending the “undefended” border. Ottawa politicians used the threat of American invasion to promote Canadian patriotism. Although the raid on Manitoba in 1871 led by W. B. O’Donoghue was not officially sanctioned by the American Fenian Brotherhood, who were disillusioned by the cost and challenge of these border skirmishes, there is no doubt that Canadian officials feared a Fenian attack following the Riel Resistance and blamed the Irish-Americans for providing officers and money for guns and ammunition. Their great fear was that, if the dissatisfied Manitoba Métis supported American annexationists, Manitoba would withdraw from Confederation and join the United States. The combination of Irish-American soldiers who hated the British Empire aided by Minnesota and Pembina promoters who coveted new territory along with the bitterness of the Métis was a genuine threat. They knew that it would not take much to set off a dangerous border war. The fear of Canadian officials was realistic, making O’Donoghue’s Raid an important threat to Canadian unity, whether it was officially backed by the Fenian Brotherhood or not. As I understand it, there is a good deal of dissatisfaction up there with the British government. The dissatisfaction exists principally among the French half-breeds and I believe they are in the majority. The British government has but a very small force in the British territory ... There was no invasion at all. There was no Fenian raid. We were not acting as Fenians and had no connection whatever with that organization. This report was reprinted from the St. Paul Press by The Manitoban of October 23 which observed sarcastically that crimes had been committed: “Good for the Press, but what of the corduroys, and the capots, and the pemican at Pembina Post?”  The Canadian reporter referred to the theft of goods from the HBC post at Fort Pembina, and was undoubtedly annoyed that these Irish-Americans were not held responsible for any criminal activity whatsoever. When McMicken arrived in the Red River Settlement, he made a report to Lieutenant-Governor Archibald and advised him to issue an proclamation, calling on volunteers to repel the Fenians “before the Métis could take to the field”. Archibald was reluctant as he feared the French were afraid of retaliation for 1869-70 and the English would not be loyal because they suspected Archibald of being pro-French. The proclamation was printed on October 3 and immediately various companies of men came forward to protect the settlement, including Métis in the French parishes and all classes in the English parishes. The raid on the HBC Fort Pembina occurred Thursday, October 5, but word did not reach Winnipeg until Saturday, October 7, when The Manitoban, a pro-Government paper, observed: “A company of Frenchmen, numbering upwards of forty, formed in the town, left this afternoon (headed by Captain Plainval) for the front ... Riel, it is said, on good authority, is out against O’Donoghue.” A week later, it reported the participation of other loyal French: “Mr. Pascal Breland and Mr. Royal are out with companies of mounted scouts towards St. Joe ... Good. Narcisse Marion had five stalwart sons at the front.”  The paper expected war on the American border. Many perplexing difficulties cropped up to annoy the Governor. Fathers Ritchot and Dugas had daily interviews with him but they invariably ended by their refusing to urge Riel to enroll with his people unless the amnesty was assured to them. 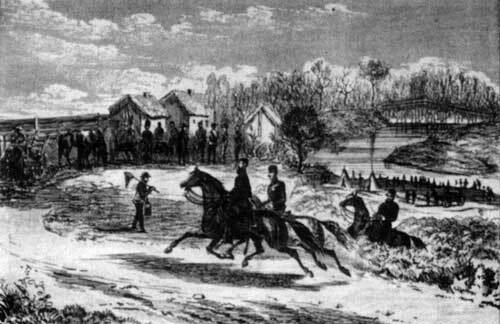 The volunteers, led by Major Irvine at Fort Garry, started out with 200 men on Monday, October 9, not knowing that the American Captain Wheaton had already stopped the “invasion”. McMicken noted Irvine “in the evening dull, dark and drizzling, started out with all the panoply and pomp of glorious war.” The soldiers only went as far as St. Norbert, before they heard that it was no longer necessary to go to Pembina; Canadian troops at Pembina arrived in November. Drawings of the events served as Canadian propaganda as they exaggerated the glorious conflict between the Canadian troops and the Fenians which never happened. This passage contains some important information which requires some explanation and context. 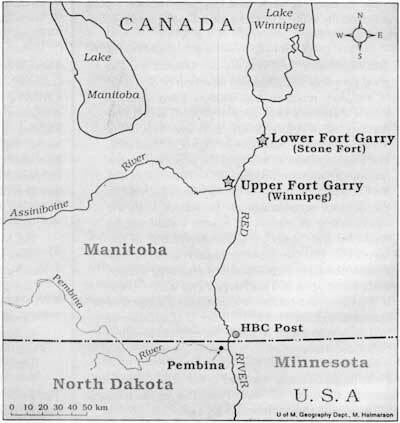 The first point is that Bouvette should have said that Jerome was kept at the Stone Fort (Lower Fort Garry) north of St. Andrews Parish (to distinguish it from Upper Fort Garry located at the Forks of the Red and Assiniboine). The Department of Justice File on Louison Letendre notes that he was held in the Stone Fort and his name is included in the Manitoba Penitentiary (Stony Mountain) Register of Prisoners. The Sheriff’s Letter book noted that the three prisoners were being held at the Stone Fort. While the Stony Mountain Register of Prisoners only lists Letendre, the Sheriff’s Letter confirms the arrest of Villeuve and Andre Jerome was as well. While Bouvette’s story provided the clue, we were pleased to find that Jerome’s claims of arrest and imprisonment could be verified through official documents. Archibald shakes hands with Riel on October 8. This incident resulted in the recall of the Lieutenant-Governor. The second point on Bouvette’s story is the reference to the “sweat process by being bridled like a horse and obliged to break stone day and night” The punishment for hard labour in those days involved being bridled and forced to haul large loads of heavy stone which would make one sweat from the exertion. Such a punishment should have been illegal in the case of Andre Jerome as the court remanded his case to the spring; he was not convicted at his first trial in November because the jury could not agree. Therefore, the prison officials had no right to punish him. There was also no suspension of the Habeas Corpus Act which the British had done in Ireland to allow them to round up large numbers of prisoners without trial as part of their policy of repression against Irish resistance to British rule. Therefore, prison officials at the Stone Fort had no right to punish him. Did the sweat process involve a more insidious goal? Professor H. Senior observed about the imposition of capital punishment: “It was a practice to pass a capital sentence on raiders who possessed no legal status as military belligerents in order to satisfy public opinion, then delay the execution and ultimately release the prisoners.”  While such a cynical tactic may explain Macdonald’s strategy, the prisoners, their extended families and communities would have suffered fear and anxiety until the prisoners were released. Even if the effect was only psychological and there was no use of coercive torture, the threat to kill Letendre was still a powerful demonstration of the power of the new Canadian regime, especially when Riel and Lepine were being persecuted for the execution of Scott and were as yet unsuccessful in obtaining the promised general amnesty for those involved in the 1968-70 Resistance. Canadian officials were well aware of O’Donoghue’s involvement in the Manitoba attack as they had eye-witness testimony from people within the Hudson’s Bay Company post at the border (Emerson) when it was captured. Therefore, surely it was not necessary to torture a prisoner, especially one that had not been convicted, in order to get evidence against O’Donoghue and his Irish-American friends. Given the climate of hatred against the Métis by the Ontario British, we suggest that the Canadian government officials were trying to get evidence to implicate Louis Riel in the Fenian Raid in order to arrest him. The fact that Riel was forced into exile and his life was in danger in Red River makes this type of persecution against his supporters not an unlikely scenario. Some Ontario federal government members in Ottawa felt that “Riel was playing a double game.”  They did not trust the Métis leaders. In November 1871, Macdonald wrote to McMicken and asked him to “quietly collect all the information you can as to Riel’s connection with the [Fenian] rising & his sudden change [to aid Canada] on finding that the raid had ended in a fiasco.” He further noted that Archibald did not need to know about the investigation: “It is no affair of his.”  This statement suggests that Macdonald did not want his Lieutenant-Governor involved in the spying activities and puts the responsibility for repressive anti-Fenian and anti-Métis measures on McDonald and McMicken. However, since obviously government officials at the Stone Fort would not have documented any cases of torture for the convenience of future historians, there is no official proof to substantiate Jerome’s allegations. Canadian propaganda drawing showing troops at Fort Pembina. The troops arrived on November 18, six weeks after the raid. Elzear Goulet in fact lived at Pembina south of the American border which was the home of the “free traders” who challenged the monopoly of the Hudson’s Bay Company. Pembina may have attracted families who were not sympathetic to British imperialistic policies. However, Métis extended families lived on river lots both north and south of the line without much regard to its national significance and they moved back and forth across the line depending on economic opportunities. Goulet was the mail carrier between Fort Garry and Pembina and, as already noted, married to Helene Jerome St. Matte, who was the granddaughter of Martin Jerome, a niece of Andre Jerome and cousin of Louison Letendre. Oral history suggests that Helen was raised by her aunt, Mrs. Angelique Jerome Rolette, Andre Jerome’s sister. Helene’s father was dead and, in Métis society where kin groups valued extended family connections, such as in the close-knit community at Pembina, Andre Jerome and Louison Letendre would have felt a responsibility to avenge her husband’s death. Helene was left as a widow at a young age with six young children. The location of the Goulet home can be seen on a map found in the Letendre papers. Jerome family history provides yet another insight into Andre Jerome’s role in the raid. The trial records in the Letendre file do not specifically identify Andre Jerome at the scene of the looting of the HBC post at the border. Although “Jeromes” or “St. Matthes” are sometimes mentioned, the Christian name is not included so that it could have been any of his six brothers or other male relatives. For example, Antoine Collin  testified that he “saw some of the St. Matthe’s in the fort” and Antoine Paul Laronte (as spelled in the Department of Justice file) swore that he saw a St. Matthe and Letendre while the Fenians occupied the HBC post. We assume that the witnesses identified Andre Jerome as the major participant in the raid rather than his brothers simply because he was the Jerome charged. 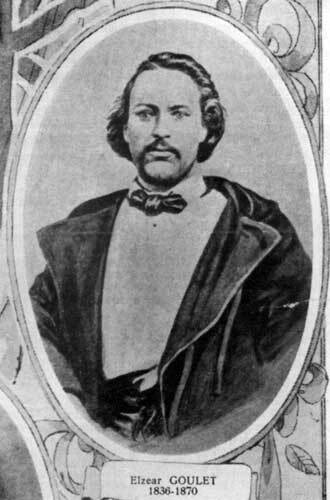 Perhaps the most important reason for Andre Jerome’s arrest was because of his role in the Resistance of 1869-70. The deposition of Andre Nault, one of Riel’s lieutenants, suggests that Jerome St. Matte and Damase Harrison were guards of Thomas Scott in Upper Fort Garry and that they insisted on a Council of War (court martial) because otherwise they would shoot him themselves. “They did not want to risk their lives in guarding this man.”  Given the persecution of the Métis after the troops arrived in August 1870, if Andre Jerome had been a guard in Upper Fort Garry during the Provisional Government, he would have been a likely target for reprisals. Andre Nault himself was beaten up at Pembina and left for dead in 1871; these violent incidents were punishment for executing Scott. Since Andre Jerome had a large number of half-brothers that looked similar, it is possible that he was mistaken for one of them; in any case, which brother was arrested may not have mattered to the authorities. In 1872, Martin Jerome, Andre’s father, sold river lot #54 north of Emerson, and Andre Jerome and his family moved south to become “the first settlers of Kittson County, Minnesota” at the mouth of the Red and Two Rivers. In retrospect, it seems that these prisoners were arrested and Letendre was convicted as political scapegoats for the resistance of 1869-70 and the death of Thomas Scott. The Jerome St. Matte brothers, 1905. Top: Elise, David and Daniel; bottom: Louis, Andre, Jerome and Joseph. Roger was absent. Martin and Baptiste were dead in 1905. In terms of justice issues, it is difficult to compare the treatment of Fenian captured in earlier raids in the Maritimes, Quebec and Ontario with the Manitoba skirmish. The Manitoba raid was not officially approved by the Fenian Brotherhood who were disillusioned with past failures. It was not technically an “invasion” at all since it was not sanctioned by the American government. There was no engagement of Canadian or British troops since the escapade was terminated by the intervention of American cavalry from Fort Pembina who had been ordered to prevent any embarrassing incidents. And as a number of authors have already noted, the Manitoba Métis did not in general support it so that it was not a threatened uprising in the same sense as happened in Ireland under the leadership of Col. Thomas J. Kelly in 1867. The Métis were concerned with local, not international, issues and O’Donoghue helpfully provided some inspirational rhetoric and a practical supply of muskets and ammunition. In the United States, the Irish Fenians were perceived as heroes pursuing a republican dream for their homeland. While they were at times an embarrassment to American politicians, they were treated lightly in the USA for their armed skirmishes on the Canadian border. The British Government (when dealing with Fenian activities in Ireland and England), and consequently the Canadian Government, considered them traitors, even though they were naturalized Americans and no longer British, and many were charged with treason. Although the Métis in the Red River Valley had their own personal reasons for assisting O’Donoghue and his Irish American friends, they were caught up in an international game of conspiracy and intrigue. Since the invading American Irish had threatened to take up arms against the Canadian government, the Canadian politicians used the situation to punish and repress Métis resistance in Manitoba. The difference between the Irish Americans and the Métis was obvious: the former were ex-patriots threatening attacks on Canada and Britain from the republican USA. The Métis on the other hand were defending their own homeland and their families from dispossession. While the majority under the leadership of Riel apparently decided to give the new Canadian regime a chance, some of Riel’s supporters were sufficiently disillusioned with their experience of the previous year that they were prepared to support O’Donoghue’s desperate attempt at invasion. They failed and, being on the losing side, suffered the consequences for taking up arms against the “new” Canadian regime. 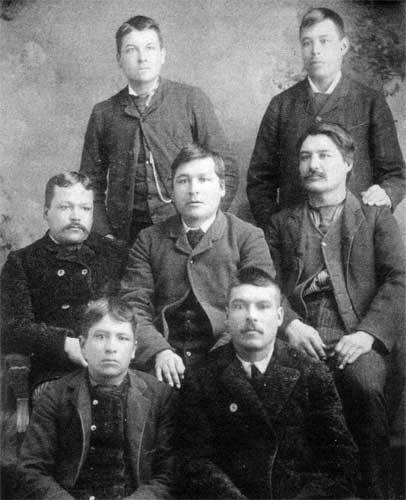 Unlike their Fenian comrades who escaped to Minnesota and beyond, the Pembina Métis were arrested and brought to Winnipeg for trial. Like the Fenians in Ireland, they might have been called the “Pembina Martyrs” if they had become symbolic scapegoats for Canadian repression of the resistance, but this martyrdom happened to Riel after 1885, not to the veterans of the Pembina skirmish. On the contrary, having been exiled, they moved south of the border and did not become the heroes of the resistance to the Manitoba Métis. They were not the subject of balladeers and poets and their role was forgotten except in a local Minnesota weekly newspaper, a Department of Justice file, and a Sheriff’s Letter book. In conclusion, the issue of Métis participation in O’Donoghue’s raid of 1871 was linked to family and local issues in the aftermath of the resistance of 1869-70. 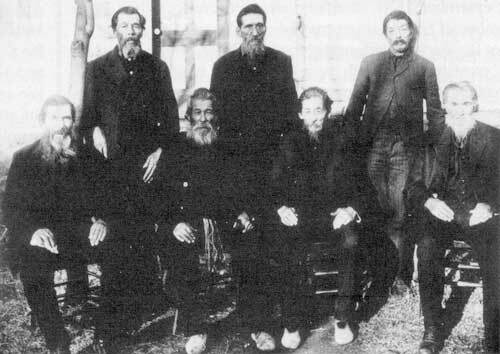 The Métis of Pembina were closely allied to the residents of the French parishes of the Red River Settlement through kinship ties and were obliged to defend their territory against hostile outsiders. The Canadian government feared Métis retaliation for the “Reign of Terror” and sought to curtail any military activity. Although Riel and his cavalry remained loyal to Canada and did not support the republican aspirations of O’Donoghue, the Red River Métis remained under suspicion in the aftermath of the threatened invasion. As with Fenian prisoners in eastern Canada and in Britain, repressive measures were sought to prevent further outbreaks of violence. The fact that the invasion was interrupted by the American cavalry and that the Métis were for the most part loyal to the Crown did not prevent three Pembina Métis from being charged with treason. Andre Jerome’s sons in 1880. Top: Roger and Napolean. Centre: Martin, Andrew and Baptiste. Front: Sam and Alexandre. It was Baptiste and Alexandre who drove the cart with the Fenian muskets. The persecution of the Pembina prisoners, Louison “Ouiseau” Letendre, Isadore Villeneuve and Andre Jerome, probably exerted the desired effect on their friends and relatives. The not-so-covert message was that, if they took up arms again against the Canadian government, they would be severely punished. However, Canadian officials may have been prepared to go farther, that is, to torture a prisoner in custody who had not been convicted in order to extract a confession. Was the Canadian Government prepared to overstep the bounds of “British Justice” in order to collect the information it needed? In terms of Aboriginal justice issues, this case is a good example of the repression that the Métis of the Red River Settlement faced in the wake of their resistance. On the one hand, they could not get any retribution for the murder of Elzear Goulet, a prominent member of the community, or to protect their people from violent assaults by the Ontario Canadians. On the other, they were severely and illegally dealt with for participation in the O’Donoghue raid. The treatment of Andre Jerome and Louison “Oiseau” Letendre would have had repercussions throughout the parishes, resulting in increased malaise and despair. It is not surprising that many Métis left Manitoba, and, if their exile was “voluntary,” it was to escape the persecution of the “Reign of Terror.” The new Canadian regime was prepared to use strong measures to repress any hint of political armed resistance even though the actual “invasion” was aborted before it began. The extreme measures which were used against the Fenians in previous invasions were an overreaction in Manitoba, yet the Métis suffered the same consequences. Given the lack of strong deterrents exercised against the Ontario Protestant agitators, the Métis observed a justice system which did not treat its indigenous residents as equals and which worked to their disadvantage. “Unequal Justice” was their experience and diaspora was the result. 1. Provincial Archives of Manitoba, Macdonald Papers on microfilm from National Archives of Canada, C1509, Vol. 6, Fenian Raids, 25021-037, Archibald to Macdonald, October 13, 1871. Earlier drafts of this paper were delivered at the Manitoba History Conference, Winnipeg, May 1993, and the Association of Canadian Studies in the US (ACSUS), New Orleans, November, 1993. Ruth Swan is in the doctoral program, History Department, University of Manitoba. Edward A. Jerome of Hallock, Minnesota, is a great-grandson of Andre Jerome dit St. Matte. We would like to thank Prof. Hereward Senior (McGill), Prof. Wesley Pue (UBC), Prof. D. N. Sprague (Manitoba), Dr. Jennifer Brown (Winnipeg) and Diane Payment (Parks Canada) for their comments on earlier versions of the paper. 2. In Fenian & Anglo-American Relations during Reconstruction, (Ithaca & London: 1969), Brian Jenkins focused on the diplomatic repercussions of the raid and dismissed the Manitoba episode with a brief reference to one of the prisoners (p. 316). In Fenianism in North America, W. S. Neidhardt (Pennsylvania State University Press: 1975) devoted 8 paragraphs to the Manitoba Raid with special attention to the role of General O’Neill. He relied on the interpretation of J. P. Pritchett, “The Origins of the So-called Fenian Raid on Manitoba”, Canadian Historical Review 10, 1929: 2342. Hereward Senior’s first book on the subject, The Fenians & Canada, Toronto: McMillan: 1978, made no mention of the Manitoba raid. In The Last Invasion of Canada, Senior included a chapter on O’Donoghue’s raid; although he mentioned the participation of “15 halfbreeds” and a “Minnesota resident” as a prisoner, he did not elaborate or question Métis participation, pp. 183 and 186. W. L. Morton did not mention the raid in Manitoba: A History (Toronto: 1957, 1979). Neither did G. A. Friesen in The Canadian Prairies (Toronto: 1984). In For Better or For Worse (Toronto: Copp Clark Pitman Ltd., 1991), J. L. Granatstein dismissed the Fenians as a serious threat in 1871: “An 1871 border scare turned out not to have been caused by them” (p. 13). In The Red River Rebellion (Winnipeg: Watson & Dwyer, 1996:226), J. M. Bumsted noted “a handful of Métis” participated in the invasion. 3. See Joseph Kinsey Howard, Strange Empire: A Narrative of the Northwest, Saint Paul: Minnesota Historical Society Borealis Edition, 1952, 1994: 102. George F. G. Stanley, “William Bernard O’Donoghue”, Dictionary of Canadian Biography, vol. 10, Toronto & Quebec: Universities of Toronto and Laval, 1972: 556-557; identifies O’Donoghue as an American Irishman who was treasurer of Riel’s Provisional Government. Stanley, Military Expeditions to Red River Toronto & Oxford: Dundurn Press, 1989: 202. A long article in The Manitoban, October 7, 1871, identified the Fenian officers who accompanied O’Donoghue to Pembina. An eye-witness account came from Capt. Lloyd Wheaton who arrested the leaders in the process of looting the HBC post, Fort Pembina, US National Archives, RG94, Records of the Adjutant’s General’s Office, #3248, Report to the Assistant Adjutant General, St. Paul, by Wheaton, Fort Pembina, Dakota Territory, October 5, 1871. We would like to thank Alan Woolworth, Research Fellow for the Minnesota Historical Society, for this reference. 4. This term comes from Allen Ronaghan, “The Archibald Administration in Manitoba”, Ph.D. thesis, University of Manitoba, 1986, Ch. 33, p. 698. In “The So-Called Fenian Raid on Manitoba in 1871”, Canadian Historical Review vol. 10, 1929, p. 41, J. P. Pritchett argued that “the O’Donoghue and O’Neill project was not Fenian in any shape or form.” This point will be contested since they did provide 94 muskets, 11 sabres and 12,00 musket-cartridges according to Captain Wheaton in his report of October 5. In Toil and Trouble, Stanley uses both terms, acknowledging that “the irrepressibly optimistic O’Neill was prepared to support the equally hopeful O’Donoghue. Other Fenian leaders, however, more realistic, were less enthusiastic. Angrily, O’Neill resigned his presidency of the Brotherhood, declaring that he would act on his own. He was going to support O’Donoghue and would invite other Fenian officers to join him. Colonel Curley alone responded to O’Neill’s histrionics”, page 204. Actually, another Fenian officer named Donnelly also joined them. Hereward Senior included the Manitoba invasion in his book, The Last Invasion of Canada, The Fenian Raids, 1966-70, chapter 10: 173. 5. See for example the description by Robert Hill, in Manitoba, History of its Early Settlement, Development and Resources, Toronto: 1890: 335-349. Alexander Begg, History of the North-West, volume II, Toronto: Hunter, Rose & Company, 1894, chapter V: “Half-breed Complications and the Fenian Raid”: 65-76. George Bryce, A History of Manitoba: its Resources & People, Toronto & Montreal, The Canada History Company, 1906: 176-177. In 1963, George F. G. Stanley edited the journal of Abbe J. B. Proulx as follows: “L’Invasion Fenienne au Manitoba”, R.H.A.F., vol xvii, September 1963: 258-68. Undoubtedly, in 1871, most Manitobans thought of the raid as a Fenian affair. The article by J. B. Pritchett published in 1929 in the Canadian Historical Review changed the view of academics but, by that time, most Manitobans had probably forgotten about it. 6. For American views of the Fenian movement, see William D’Arcy, The Fenian Movement in the United States, 1858-1886, New York, Russell & Russell, 1947 and Mabel G. Walker, The Fenian Movement, Colorado Springs: Ralph Myles Publishers, 1969. For information on the movement in Ireland, see Desmond Ryan, The Fenian Chief A Biography of James Stephens, Dublin & Sydney: Gill & Son, 1967, and Leon O’Broin, Fenian Fever: An Anglo-American Dilemma, London: Cornell University Press, 1969. 7. For reviews of diplomacy between the USA and Great Britain and Canada, see Brian Jenkins, Fenians and Anglo-American Relations during Reconstruction, Ithaca, N.Y. and London, 1969 and W. S. Neidhardt, Fenianism in North America, University Park, 1975. 8. For information on the Fenian attacks on Canada, see Hereward Senior, The Fenians & Canada, Toronto: Macmillan of Canada, 1978 and also The Last Invasion of Canada: The Fenian Raids, 1866-1870, Toronto & Oxford: Dundurn Press, 1991. 10. For example, Prime Minister John Macdonald reported to Lord Carnarvon on April 14, 1870, that he expected a raid by John O’Neill against Manitoba and complained about the withdrawal of British troops. The Old Chieftain, Toronto: Macmillan Company, 1955, p. 61. 11. An important view of the political ramifications of the Fenian Raids came from Canada’s military historian, C. P. Stacey, “Fenianism & the Rise of National Feeling in Canada at the Time of Confederation”, Canadian Historical Review, September 1931: 238:261. 12. Begg, History of the North-West, vol. 11: 71: “It was well-known to [Governor Archibald] that a mere spark at that time was only needed to send the whole French population into open revolt—a fact which was not so well understood by his critics”. 13. Captain Lloyd Wheaton, Report to Assistant Adjutant General, #3248, October 5, 1871. 14. Hereward Senior, The Last Invasion of Canada, Toronto: 1991, p. 183. 15. J. J. Hill quoted in Vera Kelsey, Red River Runs North, New York: Harper & Bros, 1951, p. 181. 16. Wheaton, Report #3248, October 5, 1871. 17. Alexander Begg noted in his History of the North-West, vol. II, Toronto: Hunter, Rose, 1894, p. 71, that the Fenians had been released because “the evidence against them, being, it was said, insufficient to convict them of a breach of the neutrality laws. They were, in fact, liberated as the quickest way to get over the whole difficulty.” Roy P. Johnson noted that the border line was in dispute and it was not clear if the HBC post at Emerson was actually north or south of the 49th Parallel. George Foster, a clerk in the Pembina court, reported that the Fenians were released on the assumption that they had actually not crossed the border. In “The Fenian Invasion of 1871”, Transactions of the Historical and Scientific Society of Manitoba, Ser. III: 7 (1952): pp. 30-39. For a more comprehensive view, see Johnson, Red River Valley, ed. Clarence A. Glasrud, Red River Valley Historical Society, 1982, pp. 345-353. See also report in The Manitoban, October 14, 1871. American annexationist, real estate promoter and legless lawyer Enos Stutsman was the Fenian’s defence attorney; see Dale Gibson, Attorney for the Frontier: Enos Stutsman, Winnipeg: University of Manitoba Press, 1983: 157-158. He later helped to get depositions to secure the release of the Pembina Métis. See James Wickes Taylor Papers in the Provincial Archives of Manitoba, MG5, B2 (M233). 18. Provincial Archives of Manitoba, James Wickes Taylor papers, Wheaton to Taylor: October 12, 1871. 19. Stories of the arrests of Curley and O’Neill in Saint Paul were reprinted in The Manitoban, October 23, 1871. 21. Jeff Keshen, “Cloak and Dagger: Canada West’s Secret Police, 1864-1867”, Ontario History, v. 79, #4, December 1987: 353-381 and Cheryl MacDonald, “Gilbert McMicken, Spymaster: Canada’s Secret Police”, The Beaver June/July 1991: 44-49. 22. Gilbert McMicken, “The Abortive Fenian Raid on Manitoba”, Transactions of the Historical and Scientific Society of Manitoba #32, 1887-8, 1-11. McMicken stated he received a telegram from Macdonald “urging my departure, owing to information he had received relative to the threatened Fenian movement on Manitoba, in connection with the apprehended uprising of the half-breeds, subsequent to my departure from the capital”, p. 1. 23. McMicken memoir, p. 2. 24. McMicken memoir, p. 3. 25. McMicken memoir, p. 4. 26. McMicken memoir, p. 6. 27. C. P. Stacey, “The Second Red River Expedition, 1871”, Canadian Defence Quarterly, vol. 8, #2, January 1931:1-10. G. F. G. Stanley, Toil and Trouble: Military Expeditions to Red River, Toronto & Oxford: Dundurn Press, 1989, Chapter 10: “The Fenian Raid in Manitoba 1871”. 28. McMicken memoir, p. 6. 29. McMicken memoir, p. 8. Also, Rev. A. C. Garrioch, The Correction Line, Winnipeg: Stovel Co. Ltd., 1933, p. 335: “To the last, Governor Archibald was not able to cast aside the policy of expediency”, meaning that he had been disloyal for compromising with the French Party. 30. The Manitoban, October 14, 1871. 32. Garrioch, 1933, p. 336. 33. Archibald’ testimony is cited by A. H. de Tremauden, “Louis Riel and the Fenian Raid of 1871”, Canadian Historical Review, vol. 4, #2, June: 144. 35. McMicken memoir, p. 9. 37. The Manitoban, October 14, 1871. 38. Taylor’s report was included in Wheaton’s report #3248. 39. Cited by J. P Pritchett, “The Origins of the So-Called Fenian Raid on Manitoba”, Canadian Historical Review, v.10, March, 1929, p. 41. The original is in the Provincial Archives of Manitoba, Schultz Papers, MG12, El, #7457, February 26, 1875. Garrioch, p. 336. 40. Pritchett partly based his conclusion on the research of A. H. de Tremaudan who wrote “Louis Riel and the Fenian Raid of 1871”, Canadian Historical Review, v. 4: 2, 1923: 132-144 based on the minutes of meetings organized in the French Métis parishes in 1871 to decide on their strategy. De Tremaudan obtained access to these minutes from Joseph Riel, the brother of Métis leader, who had collected some of his papers and (according to Diane Payment) from the Union Nationale Métisse de St. Joseph, “They are mostly in the handwriting of Louis Riel himself.” He wanted to challenge the bias in English-language sources: “We have seen it so often stated that the Métis only came forward after all was over that we think it necessary to insist that trustworthy sources prove quite the opposite” (footnote 25). 41. Provincial Archives of Manitoba, General Quarterly Court, 1863-72, MG2 B4-1, p. 195-201.The definition of treason is “the act or fact or betraying one’s country or ruler. Helping the enemies of one’s county is treason”. Gage Canadian Dictionary. The death penalty was the punishment for conviction. In previous Fenian trials in Canada, treason was charged if the government could prove that those indicted were British subjects; see W. S. Neidhardt, Fenianism in North America, p. 100. In the 1867 attack at Tallaght Hill, 207 prisoners were charged with High Treason; see O’Broin, Fenian Fever, p. 155. 42. Provincial Archives of Manitoba, copy of Macdonald Papers, pp. 25070-71, 25 November 1871. This is proof that Archibald knew about the arrests of three Métis and that he knew that one had been remanded until the spring. Whether he knew about Jerome’s treatment in custody is open to speculation. See Provincial Archives of Manitoba, Court of Queen’s Bench, Winnipeg: Criminal Registers: GR2607 which lists those charged with “Feloniously and unlawfully levying war against Her Majesty” and the results of their trials: #8, Isadore Villeneuve - “not guilty” - #10, Oiseau L’Etendre - “guilty” - and 11), Andre Jerome St. Matte - “discharged”. A. C. Garrioch also noted the three Métis arrests: p. 337. 43. For a description of the preparations to repel the invaders, see Stanley, Louis Riel, p. 111. For a copy of Archibald’s proclamation calling for volunteers, see Provincial Archives of Manitoba, Archibald Papers, #574. See also Ronaghan’s Ph.D. thesis for details and The Manitoban, October 7, 1871. 44. J. E. Bouvette, editor of the Kittson County Enterprise, published a long story about “Andrew Jerome” in the silver anniversary edition in 1906. This article was republished in the Centennial Edition, June 19, 1983. The headline reads: “Andre Jerome First Settler in the County”. Underneath a photo of Mr. and Mrs. Jerome, the bold text reads: “Was picturesque figure of Mixed Blood and Hardy Stock; Suffered at Hands of British For Activity As Aid of Louis Riel”. The article notes that Andre Jerome was still living in 1906, so we have assumed that Bouvette interviewed Jerome himself and much of the information is “oral history”. J. E. Bouvette was raised in Pembina and had family ties to the Red River Settlement. Some facts in the article are not correct based on our research. For example, “he [Jerome] traced his ancestry back to the French Huguenots, his paternal grandfather having migrated from France early in the nineteenth century.” According to Tanquay’s Genealogical Dictionary, 1887, the first Jerome in New France was a soldier, Francois Jerome dit Latour dit Beaune, from Brittany in 1698 and he married Marie-Angelique Dardenne; their eldest son, Francois Jerome dit Latour, was born in 1706 and first came to the west as a voyageur for La Verendrye. There were several generations of Jeromes who worked in the fur trade up the North Saskatchewan River before Andre’s father, Martin, and his good friend, Jean-Baptiste Letendre (Louis’ father) moved to Red River in the 1820s. See HBCA, B.235 / d /18 for accounts of Jerome and Letendre, Winnipeg Account Book. See our article, “Saskatchewan Voyageurs and Bison Hunters: The Jerome Family in the Northwest (1727-1821), Winnipeg: Rupert’s Land Colloquium, 1998. The close personal ties between the Jerome and Letendre families existed over several generations. Louis Letendre’s father and uncle had lots 765 and 763, HBCA, E.6/7, Red River Settlement, Grants of Land. Isadore Villeneuve is not listed as living at Pembina, but he married Matilda Henry, the daughter of Alexis Henry and Marie Daunais dit Lyonnaise, age 9 in 1850 Pembina Census. She is not listed in the 1860 Pembina Census. His brother Hyacinthe settled in North Dakota. 45. The Manitoban, December 2, 1871. 46. In the correspondence of American consul, James Wickes Taylor, are depositions collected by the American State Department to lobby for the release of the Pembina Métis who were considered Americans. These are in the Minnesota Historical Society, and we also consulted them in Provincial Archives of Manitoba, MG5 B2 on microfilm. Information in his father’s deposition is confirmed by the Pembina U.S. [Minnesota] Census of 1850 which lists “Andrew Jerome, 22, male, hunter”. In the 1860 Census, “Andre Jerome” is listed as age 30 and a “farmer”, the description used for most of the Métis heads of families. In 1870 Red River Census (Manitoba), Andre St. Matte and family are living in Ste. Agathe Parish which extended to Pembina. In 1872, there is a record that Martin Jerome sold lot 54 on the east side of the Red River north of Emerson, Manitoba, to Andrew Hepburn. In the 1850 Pembina census, there are two Louis Batoches: age 49 (uncle married Marie Jane Hallett) and Louis 17; this is probably Louis 1 & 3, uncle and cousin of the Louis who was a prisoner. There is a Baptiste Batoch, age 25, with wife Julie; we believe this was a mistake and it was Louis 2, the prisoner. The 1850 federal U.S. Census [Pembina, Minnesota Territory] is published in the Collections of the State Historical Society, 385-405 and we also consulted it on microfilm as the Chester Fritz Library, Special Collections, University of North Dakota. The 1860 Pembina Census lists two Louis Letendres: age 60 (born in Michigan) and age 30 (born in British America). He is listed with Julie, age 28, and 4 children. The Stony Mountain Register put his age as 44 in 1872. We believe that the most reliable evidence that Louis 2 was born in 1826 was the depositions of Martin Jerome, his uncle, and Baptiste LaRocque, on January 16, 1872 in the James Wickes Taylor Papers, Provincial Archives of Manitoba (MG5, B2; microfilm M233). In the Red River Census of 1849, Louis Batosh is listed at age 23, married with no children, suggesting he married about that time. It also lists his uncle Louis Batosh, 48, with 12 in family, and his father Baptiste Batosh, age 58, with 7 in family (Provincial Archives of Manitoba, MG2,B3; microfilm M160). This suggests Louis 2 (the prisoner) moved to Pembina between 1849 and 1850 unless the Red River Census included Pembina. 47. National Archives of Canada, Letendre file, Deposition of Martin Jerome, January 29, 1872. This information is confirmed by Andre Jerome appearing in the 1850 and 1860 census in Pembina and the 1870 Red River Census in Manitoba. In 1872, Martin Jerome sold this lot 54 to Andrew Hepburn when Andre Jerome was released and moved south of the border to Minnesota. 48. Pembina Assomption Catholic Church Register. 49. Villeneuve was born in 1848 in St. Charles according to the list of “Half-breed Heads of Families”, National Archives of Canada, RG15, vol. 1507, the son of Francois Villeneuve and Helene Vallee. Andre Jerome was born in 1829 in St. Boniface (St. Boniface Baptisms); Sprague and Frye’s Genealogy (Winnipeg: Pemmican, 1983) lists his birth as 1827 which is incorrect. His parents were Martin Jerome II and Angelique Letendre; he died in 1916 in Hallock, MN. Louis “Oiseau” Letendre dit Batoche’s birth date is not recorded in church records. In depositions by Martin Jerome and Baptiste LaRocque in the James W. Taylor Papers (January 16, 1872), they both testified that Louis L’Etendre (sic) was born in 1826, the son of Baptiste L’Etendre (sic). Since Louis had an uncle, cousin and son by the same name, the best way to distinguish him is by his father, birth date, and his wife, Julie Delorme. According to the Pembina Church Register and affidavits, St. Boniface Historical Society, they had 7 children by 1866 [Pembina Assomption Church baptisms; Gail Moris includes Roger born in 1849], but we have found no church record of Louis’ birth, marriage or death. In Kittson County Historical Society, see Tax List of Real Property for the town [ship] of St. Vincent, Mn.,: in 1880, Julia Batosh is located on a ten acre lot in Sec. 2, Twp. 163N, Range 51 west; this suggests she was a widow and her husband [Louis Letendre dit Batoche] was dead by 1880. St. Vincent was across the Red River from Pembina and part of the Catholic parish of Pembina. Note that dates on these historical records often conflict by a few years. 50. The death of Elzear Goulet is one of the best documented incidents in Métis historiography and is often cited as a cause of continuing Métis resentment towards the new Canadian regime. See short biography on Goulet in The Collected Writings of Louis Riel, ed. by G. Stanley, Thomas Flanagan, & Claude Rocan, Edmonton: University of Alberta Press, vol. 5: pp. 263-4: “Drowned in the Red River while fleeing from Canadian militia men.” See N. E. A. Ronaghan, “The Archibald Administration in Manitoba, 1870-72”, Ph.D. thesis, Winnipeg: University of Manitoba, Chapter 19: “The Death of Elzear Goulet”. He also gives the best documentation of the “Reign of Terror”. See for example Chapter 18: “Schultz and the Beginning of the Reign of Terror”. Goulet was “Lieutenant-General of the troops at Fort Garry under Ambroise Lepine ... [and] took part in the court-martial which sentenced Thomas Scott to death”, Ronaghan, p. 424, footnote 2. 51. Grandparents of Villeneuve’s wife, Matilda Henry: Agathe Letendre married William Henry, a son of Alexander Henry the Elder; their son Alexis Henry married Marie Daunais dit Lyonnaise, daughter of Francois Daunais dit Lionais and Francoise Saulteaux; Francois was related to Louis Letendre’s mother, Marguerite Lionais dit Delaunay (Morin Genealogy). 52. Diane P. Payment, Les gens libres - O tipemisiwak”: Batoche, Saskatchewan 1870-1930, Parks Service, Environment Canada, 1990: 34. 53. National Archives of Canada, Department of Justice, RG13-C 1, v. 6-7, v. 1409, L. Letendre file. The writers assume that there were files on Jerome St. Matte and Villeneuve, but they were destroyed when they were acquitted. 54. Centennial Edition of The Kittson County Enterprise, June 29, 1983, page 10 included the article by former editor Joseph Bouvette, on Andre Jerome [dit St. Matte] reprinted from the earlier souvenir edition of 1906. The Jerome family used “St. Matte” (also: St. Matte or Sammatte) as a “dit” name. This included Andre’s six brothers and other relatives. These names caused considerable confusion the records. The brothers and half-brothers were: Louis, Elie, Andre, David, Jerome, Daniel, Joseph and Roger. Martin and Baptiste had died before 1871. 55. Bouvette’s ancestors came from the Pembina area and he knew the Jerome family well. 56. National Archives of Canada, Dept. Of Justice, Vol. 1409, L. Letendre file, Girard to Macdonald, June 22, 1872. Girard notes in this letter that the “poor fellow who is actually detained at the STONE FORT in the Province of Manitoba and known as Louison Letendre, a French halfbreed of Pembina, convicted as one of the Fenian leaders, at the Fenian Raid of last fall”. This reference linked the STONE FORT with the incarceration of the prisoners. See also Provincial Archives of Manitoba, MG4 D6-1, Canada Dept. Of Justice, Canadian Penitentiary Service, Manitoba Penitentiary (Stony Mountain) Register of Prisoners, 1871, 1913. The penitentiary at Stoney Mountain was not constructed until several years later. See also Philip Gouldring, The Manitoba Penitentiary and asylum, 1871-86, Manuscript Report #28, Parks branch, DIAND, 1970: 23. 57. Provincial Archives of Manitoba, RG3, Cl (Box 4), 45: Records of the Attorney General, Manitoba Provincial Police, the Sheriff’s Letter book; reference to St. Matte”, i.e. Andre Jerome, are on page 4, 17, 18 and 20. 58. On the Register of Prisoners page 1, Oiseau Letendre is listed as the fifth entry. Jerome and Villeneuve do not appear. Villeneuve was acquitted in November 1871 and Jerome’s name was omitted because he was acquitted in the spring of 1872. It appears that a new register was begun after Jerome’s acquittal; otherwise, he would have been registered along with Letendre. This is an example of how evidence of Jerome & Villeneuve’s arrest disappeared from official records. Nevertheless, the three prisoners were recorded in the Sheriff’s Record Book, Manitoba Provincial Police, corroborating Jerome’s story in Provincial Archives of Manitoba, R3G Cl, 45, #17-20. The names are spelled incorrectly: “St. Malle” and “Letudie”. 59. The Manitoban reported the trials of Louison Letendre (November 25 and December 2) and Andre Jerome dit St. Matte on December 2,1871. 60. Re: Treatment of Irish prisoners by the British: “The permanent officials assured [Lord Nass] that the recent danger was quite as bad, if not worse, than that encountered by Lord Kimberley in February, in temporarily overcoming which he imprisoned without trial 700 men and for doing so was made an Earl. Their arrests would, he hoped, be under 100, and they would be almost all principal men in the conspiracy”, page 111 in Leon O’Broin, Fenian Fever: An Anglo-American Dilemma, London: Chatto & Windus, 1971; this book gives a detailed discussion of Fenian activities in Ireland from 1863-68. 63. Personal communication, December 13, 1993. 64. Guillaume Charette, Vanishing Spaces: Memoirs of Louis Goulet, translated by Ray Ellenwood, Winnipeg: Editions Bois-Brules, 1976: 151-154. 65. Letendre file, evidence of HBC post manager W. H. Watt, trial notes, p. 36. 66. Dom Benoit, Vie de Mgr. Tache, vol. 2, Montreal: Librairie Beauchemin, p. 175. Bishop Tache intervened with the Governor General, Lord Lisgar, to commute Letendre’s death sentence and deplored the fanaticism of the Orangemen in Red River. A. G. Morice, in his Histoire de l’Eglise Catholique dans l’Ouest Canadien du Lac Superieure au Pacifique (1659-1905), (vol. 2, Montreal: Granger Freres, 1915) argued that because of the deaths of Elzear Goulet, James Tanner, the attack on Andre Nault and the conflict at Riviere des Islets du Bois [the Reign of Terror], the Métis wanted revenge (p. 195-196). A. H. De Tremaudan, “Louis Riel and the Fenian Raid of 1871”, Canadian Historical Review, vol. 4, #2, June 1923: footnote 25: “We have seen it so often stated that the Métis only came forward after all was over that we think it necessary to insist that trustworthy sources prove quite the opposite”. This was his intention in publishing his article. 67. George Young, Manitoba Memories, 1868-1884, pp. 212-229. Robert Hill, Manitoba: History of Its Early Settlement, Development & Resources, Toronto: William Briggs, p. 346. A fairer report was given by Alexander Begg, History of the North West, vol. 2, Toronto: Hunter, Rose & Company, p. 69: “It must be remembered, however, that O’Donoghue was at the time a disappointed man, on unfriendly terms with Riel and notwithstanding a strong feeling in the minds of many that the French were ready at a moment’s warning to join the small party of invaders, the testimony of Bishop Taché and Governor Archibald exonerated Riel altogether from the charge of being implicated in the Fenian Raid”. 68. J. P. Pritchett, “The Origin of the So-Called Fenian Raid on Manitoba”, Canadian Historical Review, vol. 10, #1, March: 23-42. Pritchett concluded that O’Donoghue acted on his own without the support of the Fenians or Riel, but the fact remains that he did have the support of three prominent Fenian officers: O’Neill, Donnelly and Curley (or Kelly) and the organization supplied the muskets and ammunition. Hereward Senior argues that O’Donoghue acted on his own, personal communication, December 16, 1993. 69. Hill, 1890, p. 348. Garrioch, p. 337. In his important article by J. P. Pritchett in 1929, he noted that the murder of Elzear Goulet on September 13, 1870 “was one of the most critical events in the early history of the province of Manitoba”, page 25, which showed Pritchett’s sensitivity to the French Canadian and Métis perspective which most English-speaking Canadian historians did not share; but he ended his story with the freeing of the Fenian raiders and did not discuss the arrest of the Pembina Métis. 70. National Archives of Canada in Provincial Archives of Manitoba, Macdonald papers, Archibald to Macdonald, October 25, 1871: 25061. 71. See Ronaghan’s thesis on Archibald for a complete review of his administration. See Stanley, Louis Riel, for examples of Archibald’s harassment by Canadian anti-Métis agitators, especially in the Election Riot of September 1872: “The Governor and his faction are still and have been badly scared” (pp. 186-87). 72. 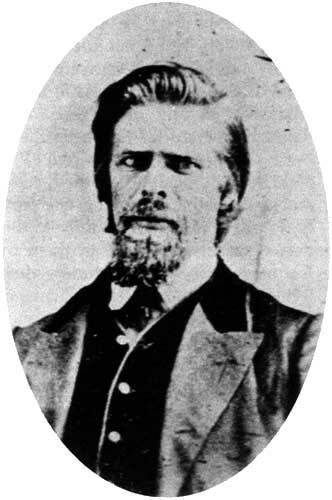 Donald Creighton, The Old Chieftain, p. 60: McMicken reported to Macdonald to expect a raid on Manitoba by General John O’Neill in April 1870. 73. See D. N. Sprague, Canada & the Métis, 1869-1885, Waterloo: 1988, pp. 95-96. Also Jeff Keshen, “Cloak and Dagger: Canada West’s Secret Police, 1864-67”, Ontario History 79:4: pp. 353-381. Dale & Lee Gibson, Railroading the Train Robbers” in Glimpses of Canadian Legal History, Legal Research Institute of the University of Manitoba, 1991, pp. 71-94 for more information on McMicken and his police activities. For McMicken’s own view, see “The Abortive Fenian Raid on Manitoba”, Transactions of the Historical and Scientific Society of Manitoba, Winnipeg: 1888. 74. Niedhardt documents the role of Henri LeCaron, a British spy who reported Fenian plans in the USA against Canada (p. 143, chapter 8, footnote 1). O’Broin gives many examples of the British use of spies and informers against the Fenians, for example, J. J. Corydon, an Irish American, “was a loose-living character and had been giving information for some time to the police in Liverpool, usually through Head Constable McHale of the Irish constabulary, who was stationed in that city for the express purpose of reporting on Fenian activities”, p. 127. 75. Major C. A. Boulton, I Fought Riel: A Military Memoir, ed. Heather Robertson, Toronto: James Lorimer and Company, 1985, p. 64. 76. Macdonald Papers, vol. 16, pp. 522-23, Macdonald to McMicken, 29 November 1871, as cited in Sprague, Canada & the Métis, p. 96, footnote 23. 77. The source of this term was in an American newspaper story; see Allen Ronaghan, Ph.D. thesis, on the Archibald administration. 78. Stanley, Louis Riel pp. 160-161. Garrioch who gives the Ontario Canadian point of view noted: “There was a thorough investigation over the manner of Goulet’s death and the responsibility for it was traced home to three of the volunteers, but owing to the excitement connected with the occurrence, it was deemed wise to let the matter rest for a time, and it is resting still”, p. 333-334. 79. Ronaghan gives the most detailed description of the coverage of this incident in the newspapers. For the French view, see Guillaume Charette, Vanishing Spaces: Memoirs of Louis Goulet, Winnipeg: 1976, p. 74: “In the autumn of 1870, Elzear Goulet was stoned by Wolseley’s soldiers when they were garrisoned at the Fort”. De Tremaudan castigated the justice system which did not pursue Goulet’s murderers: “For the sake of appearances, an inquest was held; but even though the guilty men, a civilian and two soldiers, were known, the magistrates in the case decided that, due to the state of unrest among the people, it was better not to issue arrest warrants” in Hold High Your Heads, Winnipeg: Pemmican, 1982, p. 104. Both de Tremaudan and Goulet can be seen expressing the Métis voice on Goulet’s death and the resentment felt by the community at the lack of justice. Pritchett noted that the result of Goulet’s murder was the return to the settlement of Riel, O’Donoghue and Lepine to organize the September 17 meeting of French Métis at St. Norbert at which they composed the Memorial & Petition to the U.S. President; (Canadian Historical Review, vol. 10:1, 1929: 25-26). It prompted their direct intervention. 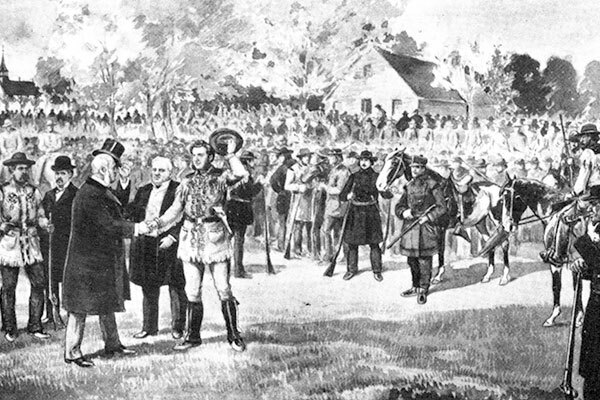 O’Donoghue argued in a letter to the House of Commons, Feb. 26, 1875, that this meeting at St. Norbert gave him his commission to organize the 1871 raid (Pritchett: 41). Dr. J. C. Schultz, opponent of Riel and the Métis, later included this letter in his own files and wrote on the top “Bourgeois Leader”; Provincial Archives of Manitoba, MG12, El (7455-7460). O’Donoghue signed it: “Sec. & Ty, Late Prov. Govmnt. Of Rupert’s Land, N.W.”. 80. Provincial Archives of Manitoba, Belleau Papers, LeFloch to Tache, September 20, 1870; Simonet to Tache, same date. 82. Andre Jerome’s mother was Angelique Letendre who was a sister of Jean-Baptiste Letendre, Louison’s father. The brother and sister were married to their spouses on the same day in St. Boniface, 6 June, 1825, Diane P. Payment, Dictionary of Canadian Biography, vol. VI,1821-1835. Helene Goulet’s father was Jean-Baptiste Jerome, Andre’s brother, but he was dead in 1871 and her mother was Josephte Courchene, listed in the Goulet-Jerome marriage record from Pembina Assumption Church, March 8, 1859 “a la Fourches”; they signed their names: “Elziard Goulet” and “Ellen Jerome”; Joe Rolette signed as a witness. 83. In fact, Joseph Rolette signed the register as a witness to her wedding in March 8, 1859, Pembina Register, M-5. 84. In The Genealogy of the First Métis Nation, Sprague noted that Helene St. Mathe, wife of Elzear Goulet, was born in 1844; so in 1871, she was 27 and her husband was 31. 85. National Archives of Canada, Letendre file, notes of witness testimony. 86. Letendre file, testimony of Antoine Collin (p. 28) and Antoine Paul Laronte (sic; p.5). Paul Laronte Sr. testified he saw Letendre, Jerome St. Matte, his father [Martin], Joseph St. Matte, Louis St. Matte and Jimmy from Cork. He also saw “Joseph St. Matthe brought the wagon which contained the arms”; Letendre file, p. 17 of notes on witness testimony. 87. Ed Jerome suggests that this story was passed down in his family; for example, his aunt, Mary Shepherd, who lived to be 101, told it to relatives at the occasion of her 100th birthday. The Pembina Census of 1860 often lists teenage Métis boys as “voyageurs” or “laborers”. Their teenage sisters are often listed as “seamstresses”. 88. Robert B. Hill, Manitoba: History of its Early Settlement, Development and Resources, Toronto: William Briggs, 1890, 337-338. 89. It should be noted that Helene Jerome Goulet, the widow of Elzear, and her six children were living in Saint Boniface with her mother-in-law and brother-in-law, 1870 Red River Census, so she was not living in Pembina at the time of the raid in October 1871. 90. Provincial Archives of Manitoba, MG3 B18, Andre Nault depositions, p. 383: re: death of Thomas Scott. Allen Ronaghan argued convincingly that Elzear Goulet was targetted by Schultz’s father-in-law, James Farquarson, because of his role in Scott’s court martial. 91. G. F. G. Stanley, Louis Riel, Toronto: McGraw-Hill-Ryerson, 1963, 1985, p. 161. He cites the deaths of Francois Guillemette, Bob O’Lone, James Tanner, and the assaults on Nault, Father Kavanaugh, and Thomas Spence, the editor of The New Nation. 92. The Manitoban, March 18, 1872. 94. National Archives of Canada, Letendre file, testimony of Paul Laronte Sr., p. 24. The article in Le Métis reporting on Letendre’s trial referred to him as “mentally unstable” and “an idiot”. His lawyers used his alleged mental weakness as part of their defence strategy to prove he was not a leader of the raid. 95. W. S. Neidhardt, Fenianism in North America, p. 127. 96. See Leon O’Broin, Fenian Fever: An Anglo-American Dilemma, (London: Chatto & Windus, 1971) for a detailed discussion of Fenian activities in Ireland from 1863-68. 97. W. S. Neidhardt, Fenianism in North America, (Pennsylvania State University Press, 1975); Chapter 11: “The Fenian Prisoners & the Irish Vote”. In The Fenians and Canada (1978), Senior described for example in 1866 “Fenian pressure on the Johnson Administration” such as lobbying for the extension of belligerent rights to the Fenians and changing the neutrality laws. The American government returned weapons that had been seized and hired a lawyer for captured Irish Americans in Toronto (pp. 111-112). 98. See O’Broin, Fenian Fever: For example, three men later known as the “Manchester Martyrs” were hanged in 1867 for complicity in the rescue of Col. T. J. Kelly in that English city (p. 202). This was in keeping with British government policy as expressed by the Conservative Prime Minister, the Earl of Derby, at the time of the Irish Uprising in 1867: “He recommended a special Commission to try the ringleaders, and especially the American Irish. It would be quite necessary to make a prompt and severe example of them; and much as he shrank from capital punishment, it would have, in this instance, to be resorted to without scruple and was indeed real mercy” (p. 154). 99. For the debate on the Métis diaspora, see D. N. Sprague, Canada & the Métis, Waterloo: Wilfred Laurier University Press, 1988; Gerhard Ens, “Kinship, Ethnicity, Class & the Red River Métis: The Parishes of St. Francois Sevier & St. Andrews”, Ph.D. thesis, University of Alberta: 1989; Thomas Flanagan, Métis Lands in Manitoba, Calgary: University of Calgary Press, 1991; and Paul L. A. H. Chartrand, Manitoba Métis Settlement Scheme of 1870, Saskatoon: Native Law Centre, University of Saskatchewan, 1991. 100. For details about the “Reign of Terror”, see George F. G. Stanley, Louis Riel, Toronto: McGraw-Hill-Ryerson, 1963, 1985, pp. 159-164; A. H. de Tremaudan, Hold High Your Heads, Winnipeg: Pemmican Publication 1982; Allen Ronaghan, “The Archibald Administration in Manitoba”, Ph.D., University of Manitoba, 1987, several chapters. 101. Thanks to Yvette Villeneuve, St. Cloud, Minnesota, and Gerri Weigle, great-great-granddaughter of Ambroise Lepine, personal communication.